The White House is looking at changes to Medicare and Medicaid programs. Texas considers itself to be one of the last safe havens of the free market model. 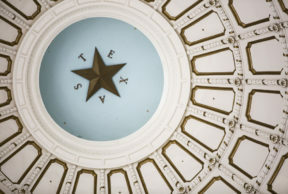 As other states have imposed regulations and taxes, Texas likes to brag that its model of self-reliance and its faith in free markets has led to exponential growth in recent years, and the migration of Californians to Texas has often been cited as evidence. But what happens when the free markets fail – when the laws of supply and demand don’t seem to be working? A commonly-prescribed asthma medication, a preventative called Flovent, is a little inhaler used daily by millions. The retail price for one of these puffers is $524, but if you’re insured, you’re only paying a small deductible, something like $35 for each refill. It sounds like a deal, except someone’s paying full price – supposedly the insurer. Unless, of course, the insurer isn’t paying full price either, because the company has a deal with the manufacturer. In this supposed free marketplace, people aren’t shopping around for the best prices – most don’t know what the prices actually are. And if, in fact, insurers are paying enormous prices for prescriptions, then the prices for insurance are inevitably going to remain well out of reach for many Americans who need those medications. That’s classic market failure. Next week, President Donald Trump is set to make a speech about the high prices of prescription drugs. Sarah Karlin-Smith, a health care reporter for Politico, says the president’s speech is expected to promote ideas he rolled out in his February budget request. She says not to expect any immediate action, though. HHS Secretary Alex Azar has dismissed the idea of government intervention, Karlin-Smith says.